Hi, I’m Sarah, welcome to The Daily English Show. Today’s guest is Laura. I talked to her on a mountain in New Zealand called Ruapehu where she was working this year. Laura is originally from England and this was her second season working on Mount Ruapehu, she did her first season back in 2005. I asked her whereabouts in England she was from. Originally both my parents are from sort of West Yorkshire. I was born in East Yorkshire but army background so moved around a lot. Kia ora in Stick News today Lebanon has broken the record for the world’s biggest glass of wine. Organisers of a wine festival in Lebanon poured around one hundred bottles of wine into a giant wine glass. The glass was 2.4 metres high and 1.65 metres wide. The previous record was set in Portugal 12 years ago. And that was Stick News for Monday the 1st of November. 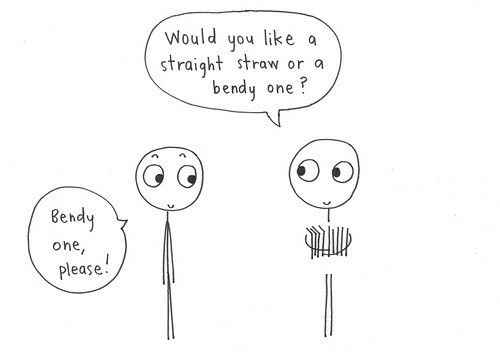 Would you like a straight straw or a bendy one? HA HA SHUCK ON ZHAT PORSHUGAL! #869 What brought you to New Zealand? Step 2: Read Sarah’s lines and talk to Laura. Sarah What brought you to New Zealand? Laura I supposed it was, ah, being at high school, finishing off my A-levels. 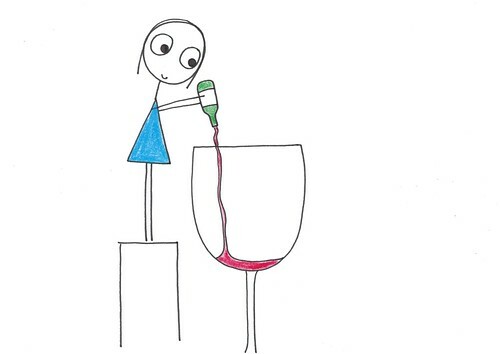 And then, um, not knowing really what to do. I hadn’t decided what course I wanted to do at uni. Tuition fees were going up, so I signed up and deferred my entry so I wouldn’t have to pay the higher fees. And thought I’ll go away for a year. And a friend of mine at school - she was half Kiwi - she was going and we sort of flippantly said, yeah, we’d, we’d go. And we actually booked a flight and just did it. And I was here for a year in ‘05 and ‘06. So that was my first season here, so this is pretty much my local hill. I like to think so anyway. Sarah And then you came back and you’ve just done one season? Laura Since then, yep, yep, I did, I did uni in between there and a year in France. So it’s, um … so this is my first season back in a while. Sarah Has it changed much? Laura Yeah, yeah, for sure, every season’s different, every day’s different. So, um, the snow’s different, for sure. Like we had a lot of snow back in ‘06 when I was here, which was fab, um, but, yeah, best season, people-wise. I’ve worked two jobs, had a real social sort of life and got a lot of work experience up here so had a fantastic time this season. Sarah Do you ski or snowboard? Laura I ski. Snowboard very badly. Sarah You moved around a lot when you were growing up, so did you learn many languages? Laura Oh, um, spreche ein bisschen Deutsch (?) I did speak a little bit of German cause my grandma was Austrian. Um, and now I speak pretty good conversational French but that’s because I lived there. And my family live there now, so yeah, je parle un peu Français. So, yeah, learning languages, very important. And, um, and English it’s so easy, when you’re from England, it’s so easy just to just speak English and rely on the rest of the world to speak English, right. But um, it’s such a great language. But yeah, I try not to be idle and pick up a few phrases, so I do know a tiny bit of Japanese, but it’s pretty bad. Sarah Does that come in handy working on a ski field? Laura For sure, like, a lot of people, especially working in rentals, will come through, and if it’s a French customer, like Rachel was saying we get quite a few people from Tahiti, New Caledonia. It’s a different accent it’s really good for me to practice the French I already know. Um, so that’s really good yeah we get quite a few … a lot of Argentineans and Spanish and Portuguese backgrounds through as well. So really good for me to use my French and help them through the process as well. Sarah Do you have any advice for people who are studying English? Laura I suppose for me you’d say that the best way is to just practice it and get engulfed in it, like I worked in France for a few months. And just getting immersed in it and having to practice it all the time. Getting chucked in the deep end is probably the way it works. It’s scary initially, but you either sink or swim. And so it’s just a case of practicing it all the time. And, and not being shy, you know, to, to practice what you know. Cause I think, like, around the world people tend to, to like it if you try. And, you know, they’re not, not too fussed if, um, if you get things wrong. They’ll help you out. So yeah, I think, I think that’ll be the best advice, right, just get stuck in. Sarah What are you going to do in the future? Laura Good question. Um, I had, like I said, like, hoped to go to Niseko, but um, didn’t get the job I was looking for. And, um, I was actually lucky to get a Canadian Visa. So, um, hopefully, hopefully Canada this year for a season, a winter. And then maybe back here we’ll see. And that was The Daily English Show. I love reading your comments, so please leave a comment if you have a spare few seconds. And if you’d like to talk to me on Twitter, I’m @tdes … you can also follow @studiotdes – we tweet there when we’ve uploaded a new show.